With over 550 schools enrolled in 2017-2018, the Alabama Clean Campus Program continues to grow each year, and the dedication and interest from schools, administrators, students and faculty can be accredited for the many successes realized at campuses all across Alabama. The Alabama Clean Campus Program is designed to involve all Alabama schools in litter control, beautification, recycling and cleanup efforts, which will instill good stewardship and environmental awareness for future generations. In addition to offering bags, recycling boxes, window decals and Online Curriculum, PALS also employs a full time Clean Campus Coordinator, Jamie Mitchell, who is available to provide on-campus programs for Alabama schools. This program is offered at no cost to all Alabama schools. 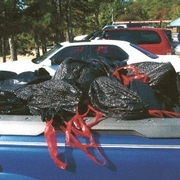 Alabama Clean Campus applications are mailed to all Alabama Schools, using the current AEA mailing list and all schools must re-enroll each year. All schools registered with the Clean Campus Program have the opportunity to submit their applications for the annual Statewide Clean Campus Competition. 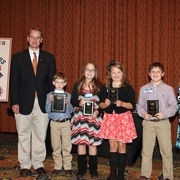 Awards in the amounts of $ 1,000, $750 and $ 500 are presented to the winning schools each year at the PALS Governor's Awards Luncheon in November. For more information or to schedule an on-campus program, please call Jamie Mitchell, Clean Campus Coordinator, at 334-263-7737. July 2018 - Environmental Day at Macon East Academy. June 2018 - Highland Home School gets involved to keep Crenshaw County clean. 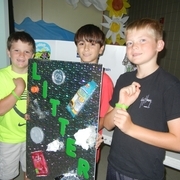 May 2018 - Meek Elementary gets bold about fighting litter! March 2018 - Washington County Career Tech students find ways to promote recycling. December 2017 - Boaz Intermediate School is back with the Clean Campus Program! November 2017 - Southside High School AFJROTC cadets fight litter in Selma. October 2017 - Marbury High School Rallies to take on Litter. June 2017 - Bear Exploration Center is Going Green! May 2017 - Moore’s Mill Intermediate School learns about the dangers of litter. April 2017 - John P. Powell Middle School Science Club is energized to go green. March 2017 - Colbert Heights Elementary is ready to do their part. February 2017 - Holly Pond Middle School joins the Clean Campus Team. January 2017 - C.A. Donehoo Elementary joins the team. December 2016 - W.S. 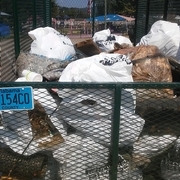 Neal Elementary is becoming a leader in community cleanup. September 2016 - Taylor White Elementary: Experience Shows and a Clean Campus Glows! August 2016 - It's Back to School Time! Get involved to keep your campus clean. 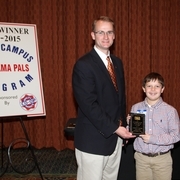 July 2016 - PALS: Making a Difference in Montgomery! Flowers Elementary joins the Clean Campus Program. August 2015 - Montevallo youth campers learn about nature and the enviornment.